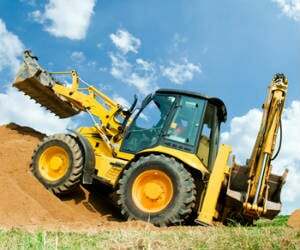 Pennsylvania Excavation Contractor Insurance. An excavation contractor is one who is responsible for preparing land for construction. Excavating contractors specialize in digging into the ground for building foundations or trenches for utility lines. The digs may be deep or shallow. Some provide related services such as grading of land, land clearing, or hauling and disposal of earth and debris. Keeping your business protected is one of the most important things you can do especially in the field of excavation. 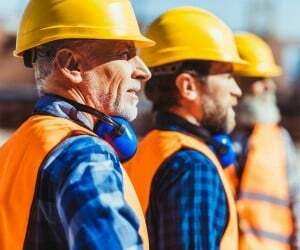 If you are an independent PA excavation contractor, you must ensure that your business has the right insurance to keep you and employees protected. That's is why a smart move is to ensure they are properly protected with an-adequate Pennsylvania excavation contractor insurance policy. Pennsylvania excavation contractor insurance protects your business from lawsuits with rates as low as $67/mo. Get a fast quote and your certificate of insurance now. Luckily some insurance companies include demolition insurance coverage. To find out if a company does you would have to speak with an independent insurance agent. Before giving your demolition insurance policy, you may have to meet some terms and conditions. The right insurance agent will help you in the process of finding the right insurance company to help you with PA demolition coverage. Request a free Pennsylvania Excavation Contractor insurance quote in Aliquippa, Allentown, Altoona, Ambridge, Baldwin, Beaver Falls, Bellevue, Berwick, Bethel Park, Bethlehem, Bloomsburg town, Bradford, Brentwood, Bristol, Brookhaven, Butler, Camp Hill, Canonsburg, Carbondale, Carlisle, Carnegie, Castle Shannon, Chambersburg, Chester, Coatesville, Collingdale, Columbia, Connellsville, Conshohocken, Darby, Dormont, Downingtown, Doylestown, DuBois, Dunmore, East Stroudsburg, Easton, Economy, Elizabethtown, Ellwood, Emmaus, Ephrata, Erie, Franklin Park, Gettysburg, Glenolden, Greensburg, Grove, Hanover, Harrisburg, Hatboro, Hazleton, Hermitage, Huntingdon, Indiana, Jeannette, Jefferson Hills, Johnstown, Kingston, Lancaster, Lansdale, Lansdowne, Latrobe, Lebanon, Lewistown, Lititz, Lock Haven, Lower Burrell, McKeesport, Meadville, Mechanicsburg, Middletown, Millersville, Milton, Monessen, Monroeville, Morrisville, Mount Joy, Munhall, Murrysville, Nanticoke, New Castle, New Cumberland, New Kensington, Norristown, Northampton, Oil, Old Forge, Palmyra, Perkasie, Philadelphia, Phoenixville, Pittsburgh, Pittston, Pleasant Hills, Plum, Pottstown, Pottsville, Quakertown, Reading, Ridley Park, Scranton, Shamokin, Sharon, St. Marys, State College, Sunbury, Swissvale, Tamaqua, Uniontown, Warren, Washington, Waynesboro, West Chester, West Mifflin, White Oak, Whitehall, Wilkes-Barre, Wilkinsburg, Williamsport, Wilson, Wyomissing, Yeadon, York and all other cities in PA - The Keystone State.